Henna tattoos for men and the renaissance of tribal art! Celebrate Christmas with stunning henna designs and tattoos! Are you a true henna/mehendi lover? 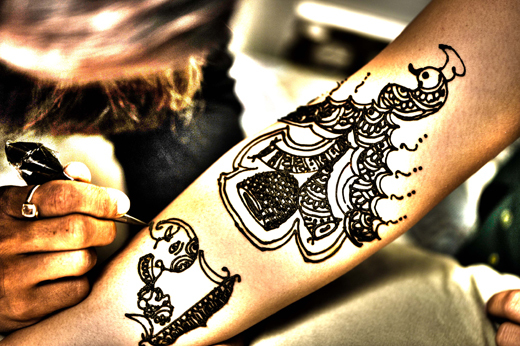 Do you love to soak yourself with henna designs and tattoos over your body? Then it is time for you to go crazy with stunning mehendi designs and tattoos!! Beautiful Mehendi Designs for Christmas For the christmas season, there are a lot of henna design trends going on in the city, and you'd probably want to go for the most stunning and unique design that nobody else has gone for. Well, if you really want to have mehendi design that is unique, stunning and attractive	mehendi design and tattoos on your body, we can give you all the new designs, glam and look! ?Contact Melbourne Henna - Melbourne's one of the most preferred henna design salon and bridal makeup salon and avail latest, unique and stunning henna designs and tattoos this christmas! Check out our stunning Mehendi Designs! We at Melbourne Henna won't just have you a mehendi design but will help you reveal your real beauty and show it off to the world. Check some of our greatest and most stunning henna designs and get one for yourself NOW! Like Melbourne Henna on Facebook, and connect with leading?bridal makeup salon in Melbourne to get latest henna tattoos, mehendi designs, bridal makeup updates!